It is marvelous that you could simply find the summary of information of almost every public listed company as the number of investor bloggers have been increasing tremendously. It is delightful to be able to access to these conveniences and sophisticated information compared to the old times. Little do you realise that there are bloggers who shares bombastic statements without the support of logical facts as well. As an investor, you have the responsibility to protect your capital and avoid buying stocks by relying on the bloggers’ statements. “Words cost nothing, your money does”. So, don’t you wish to fill yourself with the knowledge on how to read financial statements so that you will be able to understand the figures? 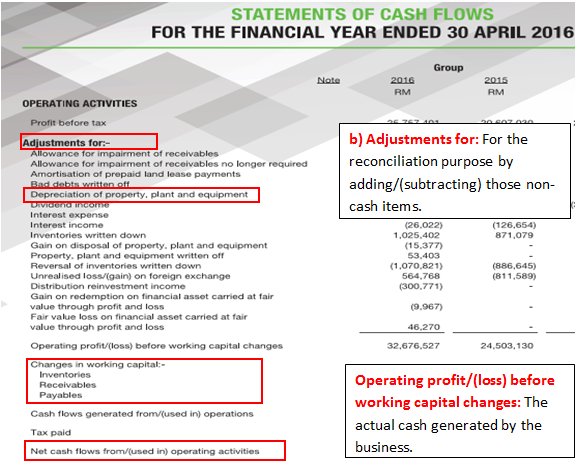 Generally, the 5 financial statements that you can find in an annual report are Income Statement, Balance Sheet, Cash Flow Statement, Shareholders’ Equity and Notes to Financial Statement. As for investment analysis purpose, only Income Statement, Balance Sheet and Cash Flow Statement are important and usually used by financial analysts. a) If a company is in a business that requires a large number of fixed assets to produce goods for selling, it is described as capital intensive. For the company to increase its revenue, the core method is to purchase more “money-making machines” to increase its capacity to cater the demand. Owners’ Equity: Company’s accumulated earnings and shareholders’ capital to purchase the assets. 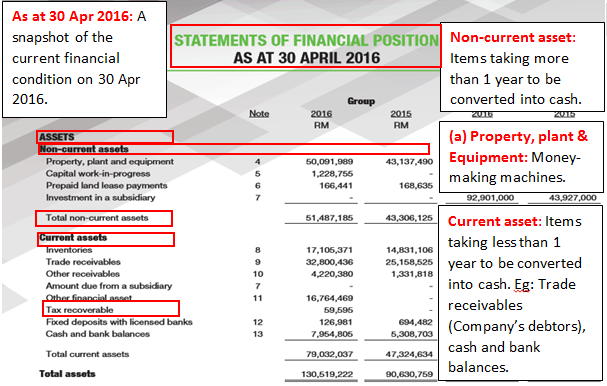 Nothing much to be explained on the profit and loss statement as it is clearly explained by the figures themselves. Most people will focus on “Revenue” and “Profit after tax/Profit for the financial year” which will lead you to think about how much out of every dollar of sales a company actually earns. This is called profit margin, one of the profitability ratios. 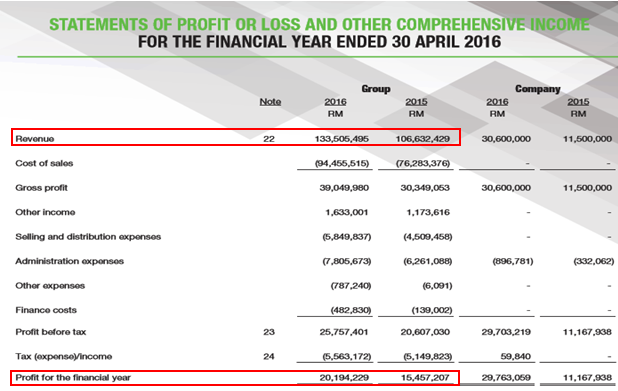 You will notice that the company has been growing its revenue and profit from 2015 to 2016 by 25% and 31% respectively. More explanations in financial ratios will be discussed in later chapters. It is a statement where you can see the cash movement of the company for the past 1 year. 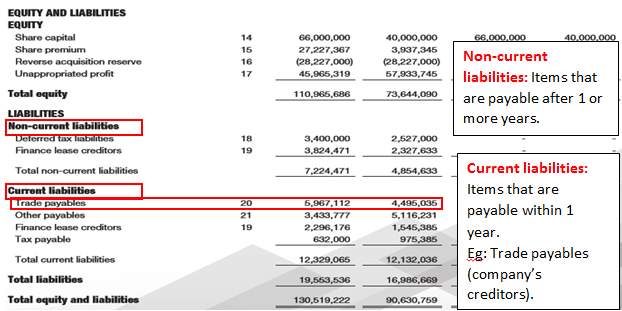 b) The reason it is being reconciled is because the non-cash items such as depreciation and amortization expenses are just entries to the income statement or cash flow statement in accordance with accounting standard. 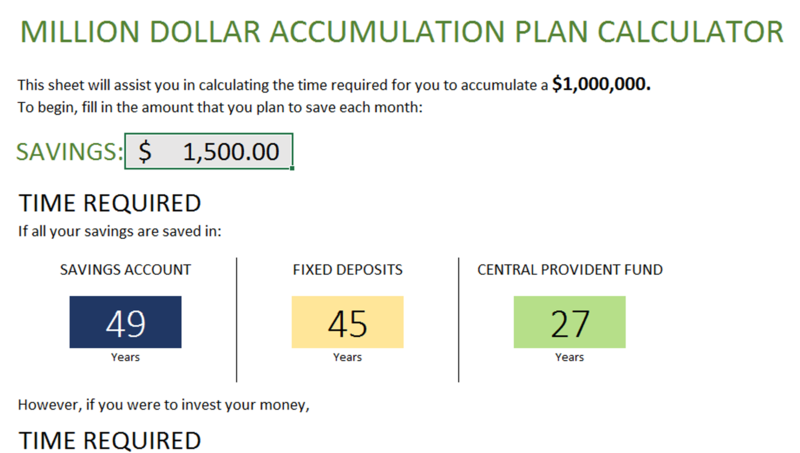 Taking depreciation as an example, the accounting standard requires companies to reflect the reduction value of the fixed assets through depreciation (losing value over time as machine gets cheaper in value by its usage over time), but the company actually does not take out the cash to pay for the “Depreciation” item. 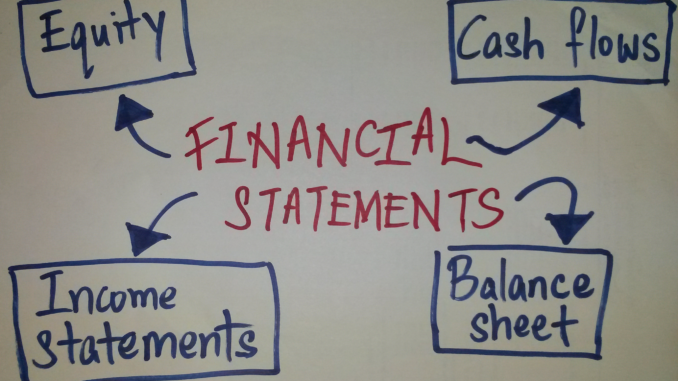 In a nutshell, you should know and understand the components and movement of financial statements. The above guidance will lead you to form a bigger picture by looking and assembling the pieces. Through learning the methods to read financial statements, you will at least aware of where the figure is the analyst inputting. Then, you will slowly get to learn the reason he/she is using this figure and interpret the meaning of this figure. Therefore, it is a fundamental level for you to pass through to understand the financial health of the company.